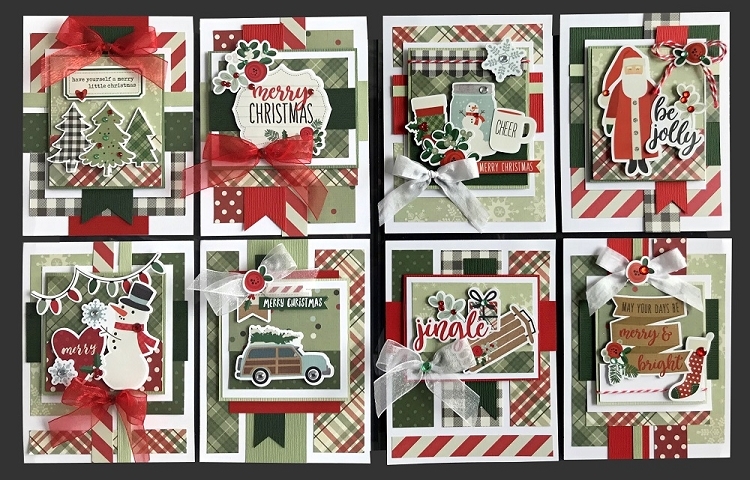 Jingle Card Kit This kit makes 8 festive Christmas cards featuring papers and cardstock stickers from Simple Stories' new line, Merry and Bright. The kit includes white cards and envelopes, ribbon, twine, adhesive rhinestones to embellish the cards. These cards are perfect to send Christmas wishes and greetings to loved ones and friends! The cards are A2, 4 1/4 " x 5 1/2". 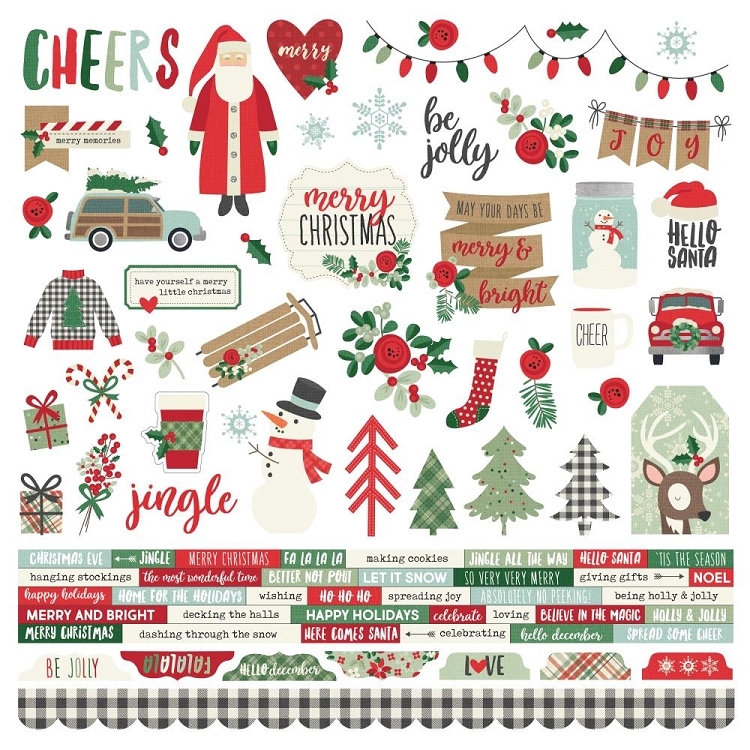 This kit includes pre-cut patterned papers and cardstock, 12"x12" cardstock sticker sheet, ribbon, twine, adhesive rhinestones, white cards and envelopes to make the beautiful cards shown.